Siemens has expanded its Simotion Motion Control solutions for converting machines to include prismatic winding and Learning Error Compensation (LECo). Prismatic winding compensates for path length differences on non-circular winding bodies. The advantages are higher winding quality, machine speed and process reliability. The new self-learning LECo function compensates for periodic disturbance variables in the process, and quickly restores the process and product quality. Deviations, such as position errors of a process axis triggered by mechanical shock, are already largely compensated for after just one cycle. The new Simotion applications are used, for example, in the manufacture of battery electrodes as well as in the processing of corrugated cardboard or material webs. Winding on non-circular cylindrical, near elliptical bodies creates web length changes between the material support point and the deflector roller. These were previously compensated mechanically or by a variable winding speed. The new Siemens Motion Control solution for prismatic winding calculates cyclically in advance the support points of the material on the deflector roller and winding body, and feeds these into the controller. The machine constructor benefits from higher winding quality, higher machine speed and process reliability. The new self-learning LECo application replaces the previous dynamic position controllers. These correct position errors of the process axes caused, for example, by a mechanical shock, but only after a delay. 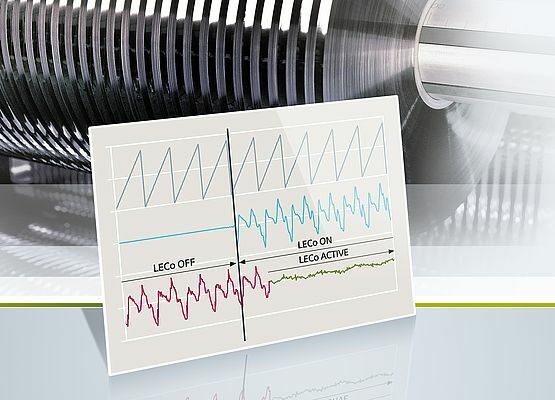 By continuously monitoring the process axes, the new Siemens solution quickly detects deviations, calculates the pre-control value on the basis of the following error, and feeds this into the controller in the next cycle. Deviations are already largely compensated for after the first cycle. In the following cycles, a learning algorithm continuously monitors the result of the compensation, fine tunes the drive control, and thus also increases the process accuracy.